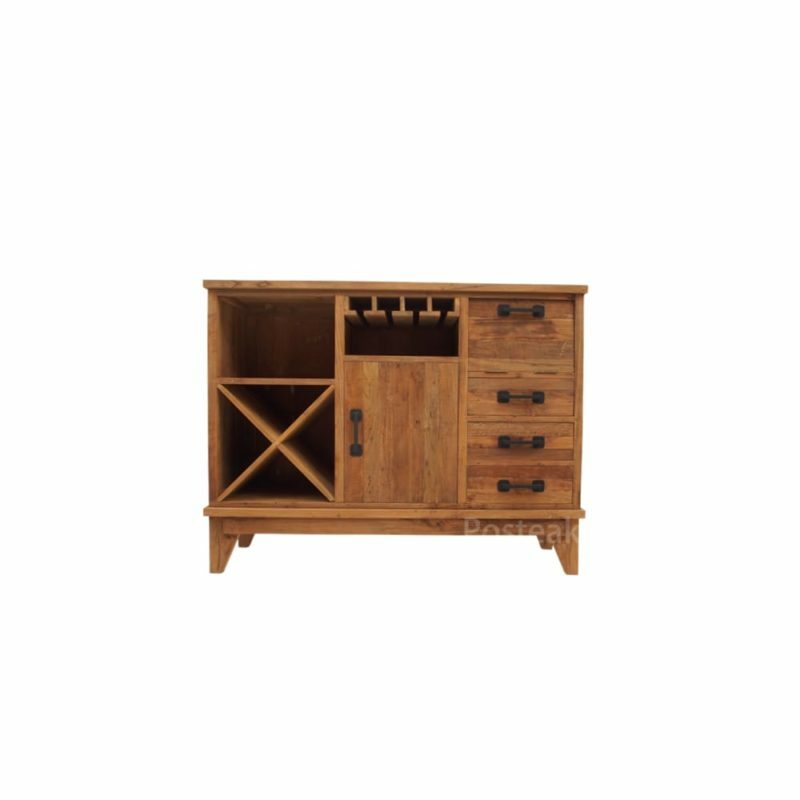 Consists of 2 Doors & 2 drawers. 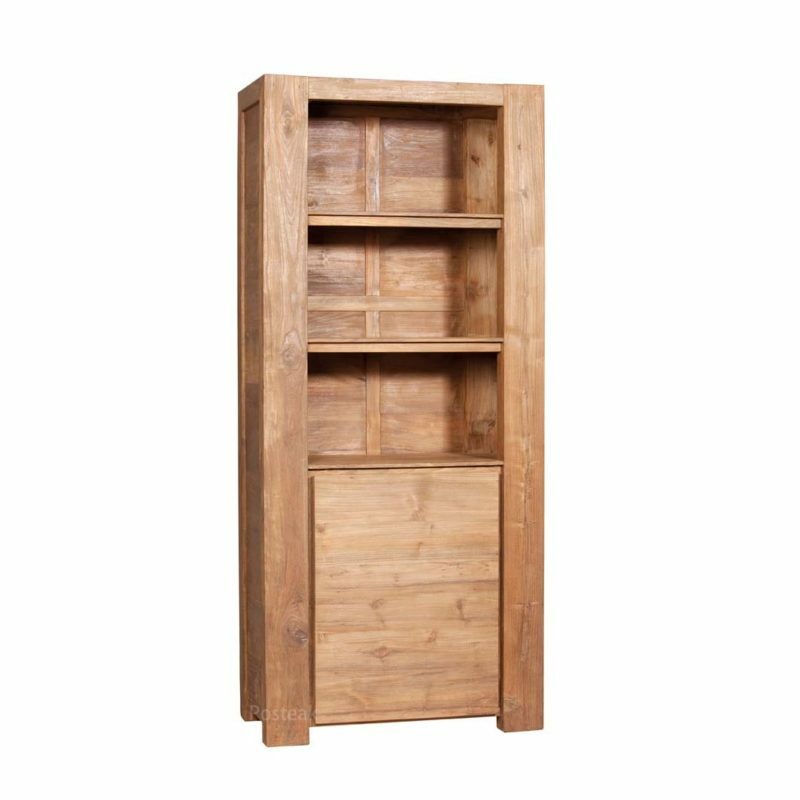 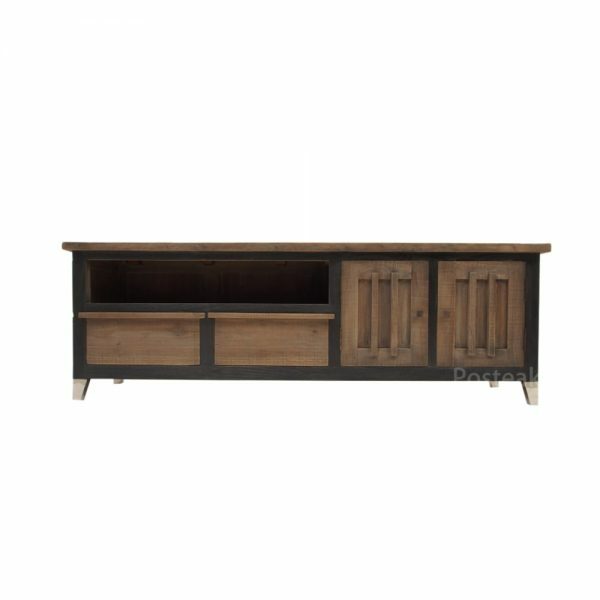 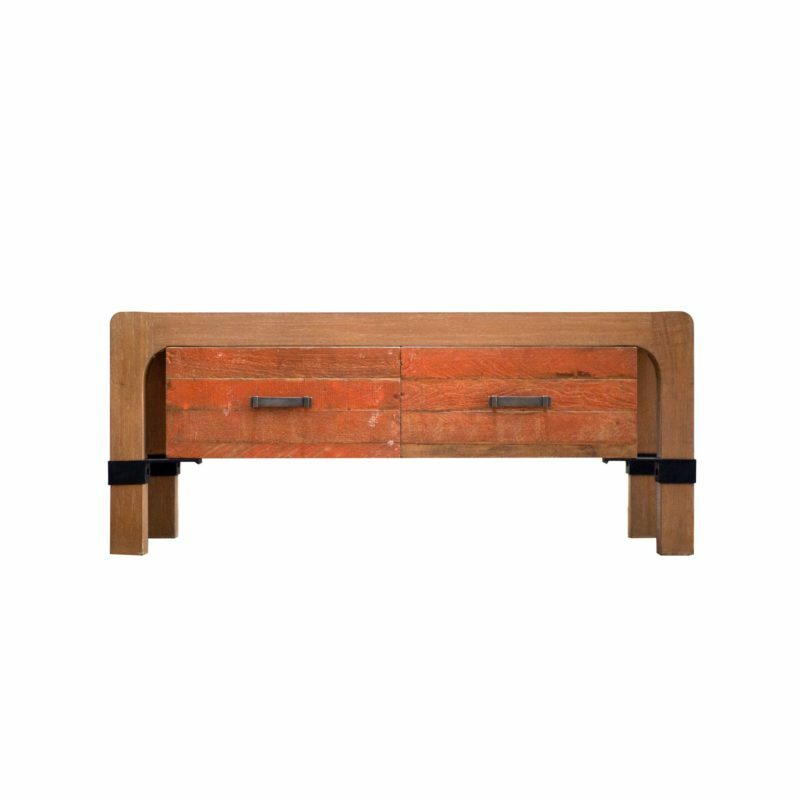 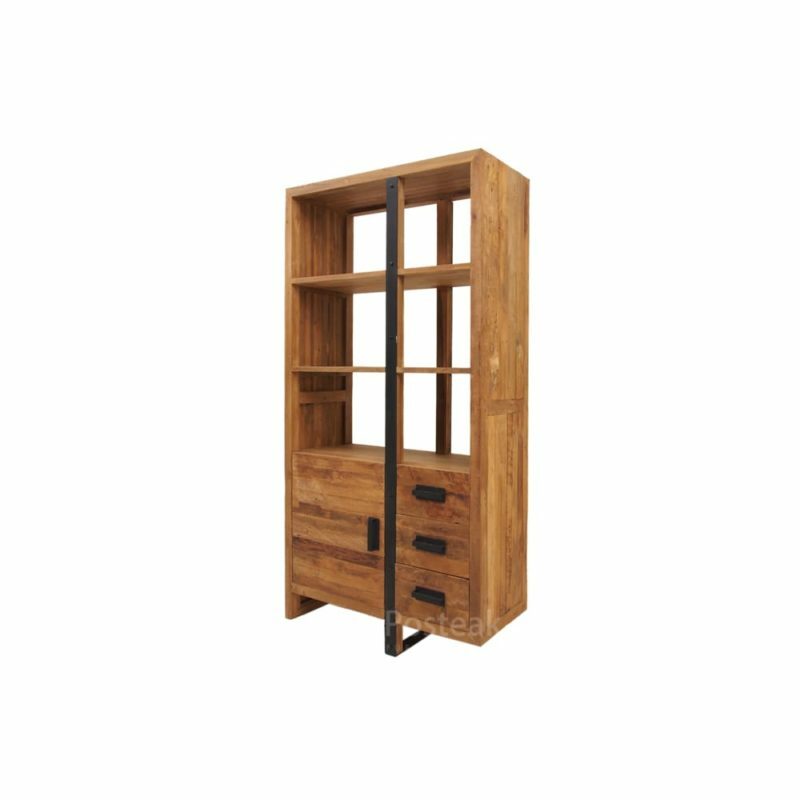 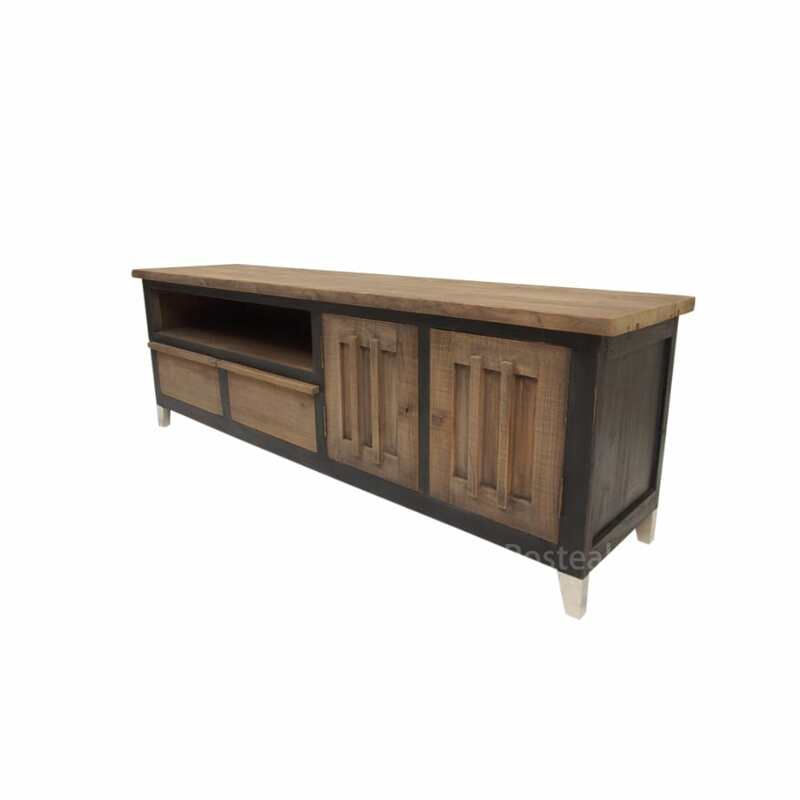 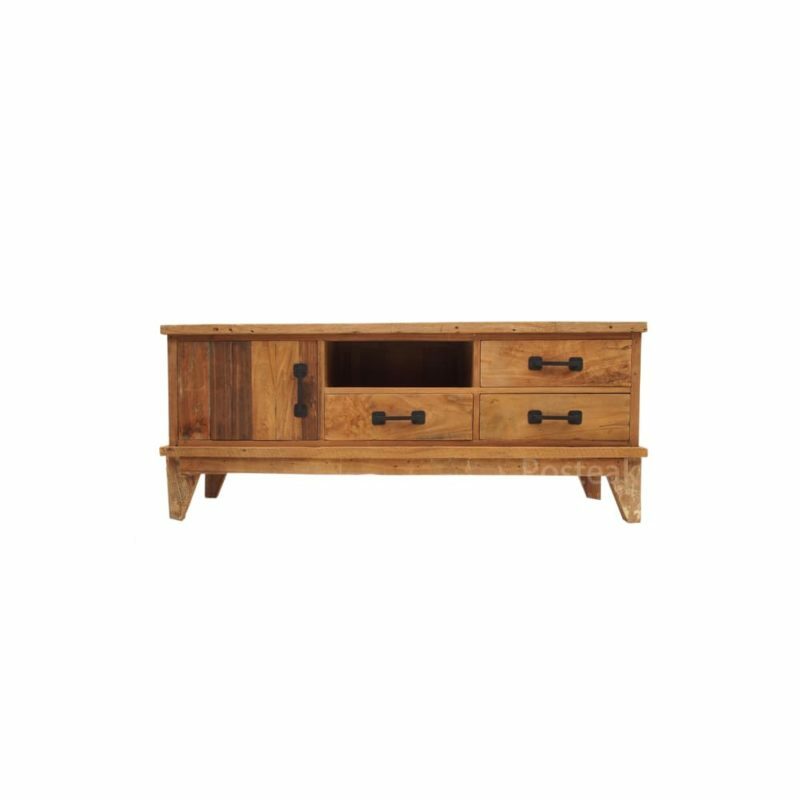 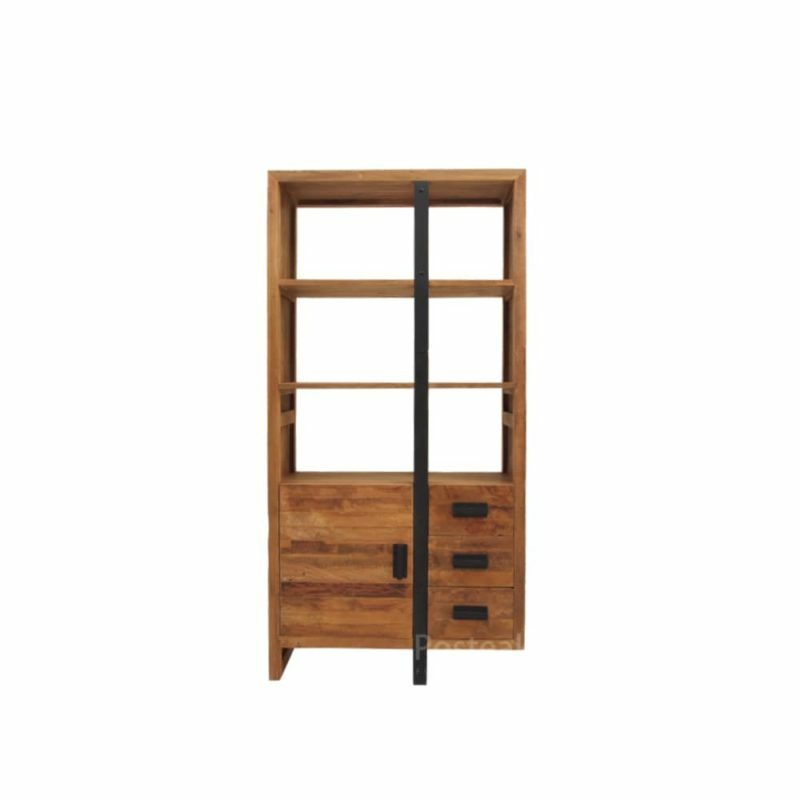 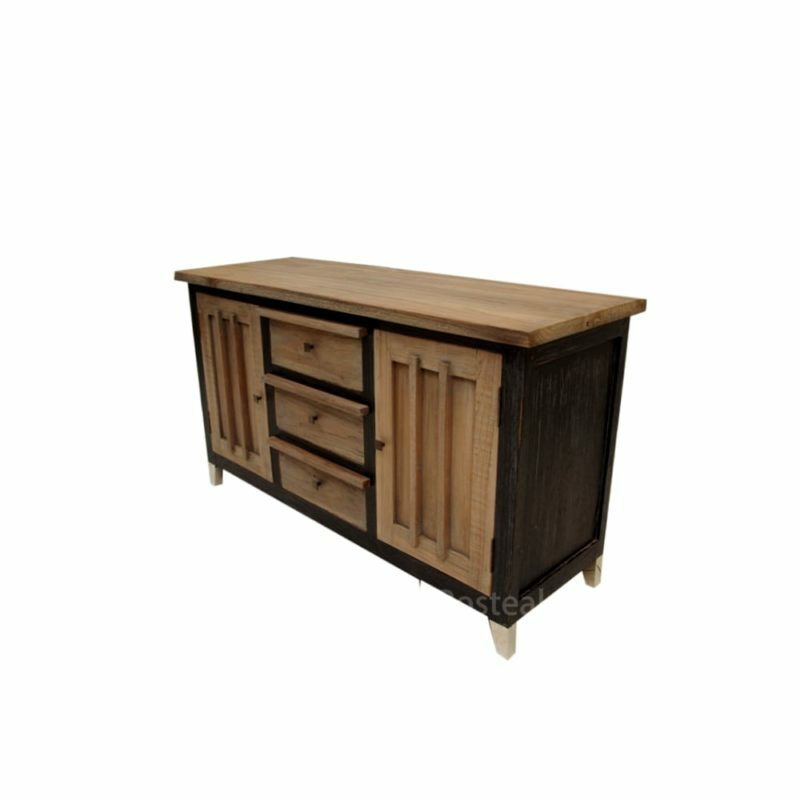 Crafted from solid teak wood with combination of alumunium legs & black painted colour to give a strong & modern character. 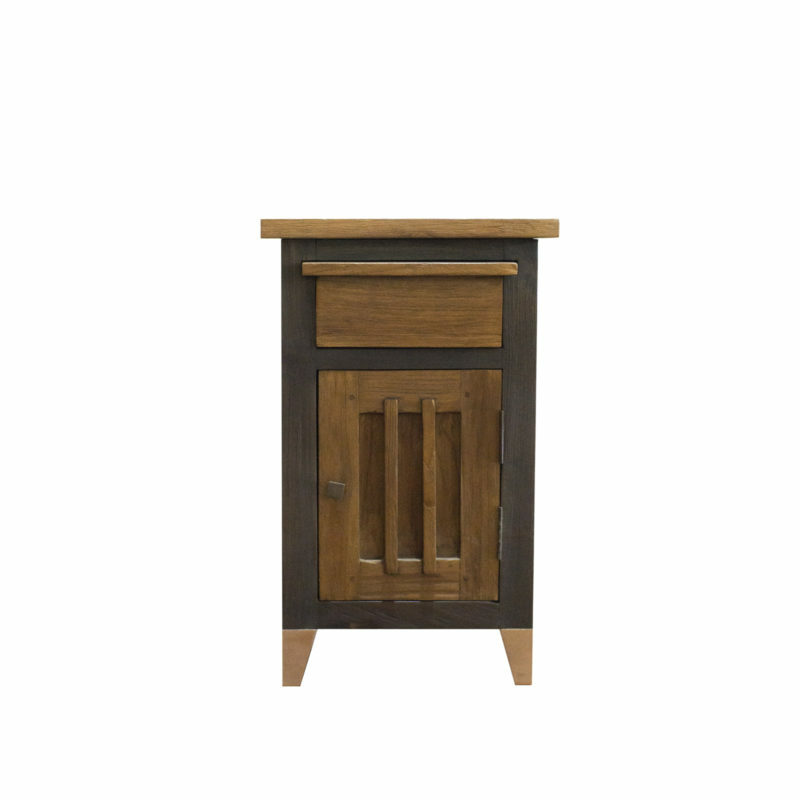 Materials : Solid teak wood, Alumunium. 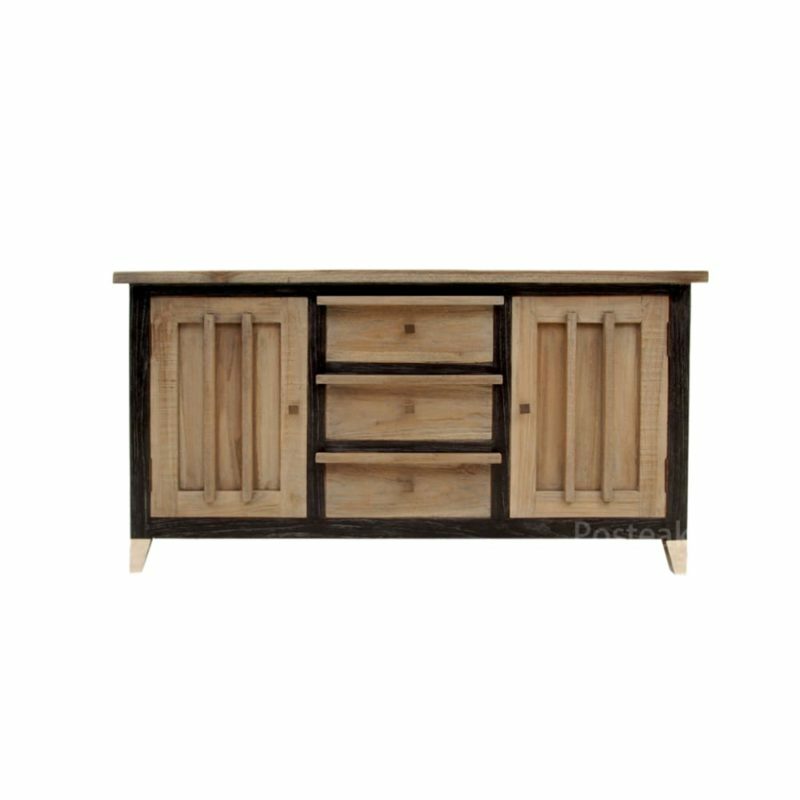 Timothy – Crafted from solid teak wood with combination of alumunium legs & black painted colour to give a strong & modern character. 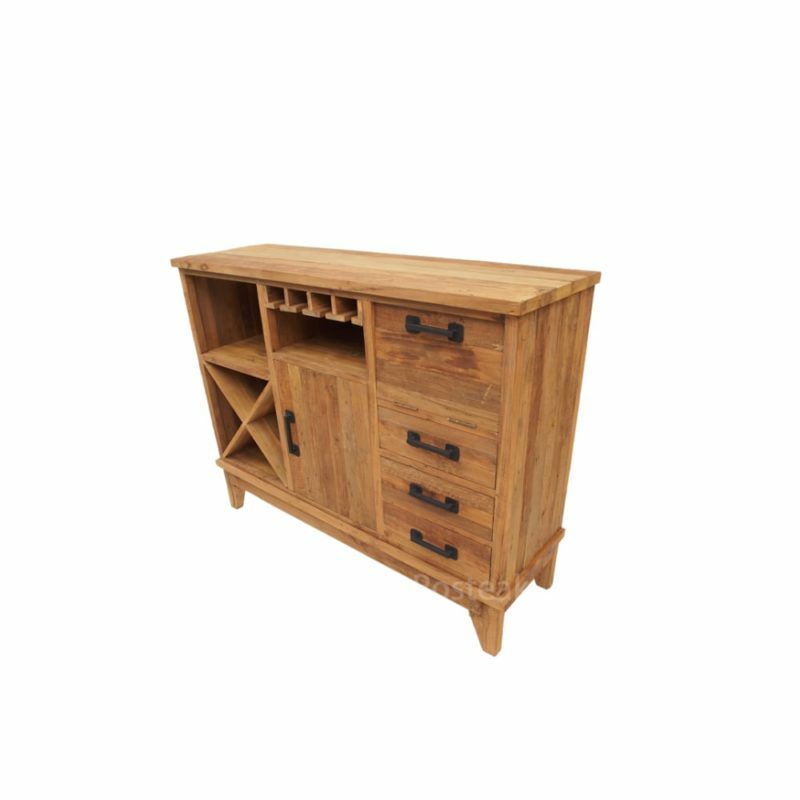 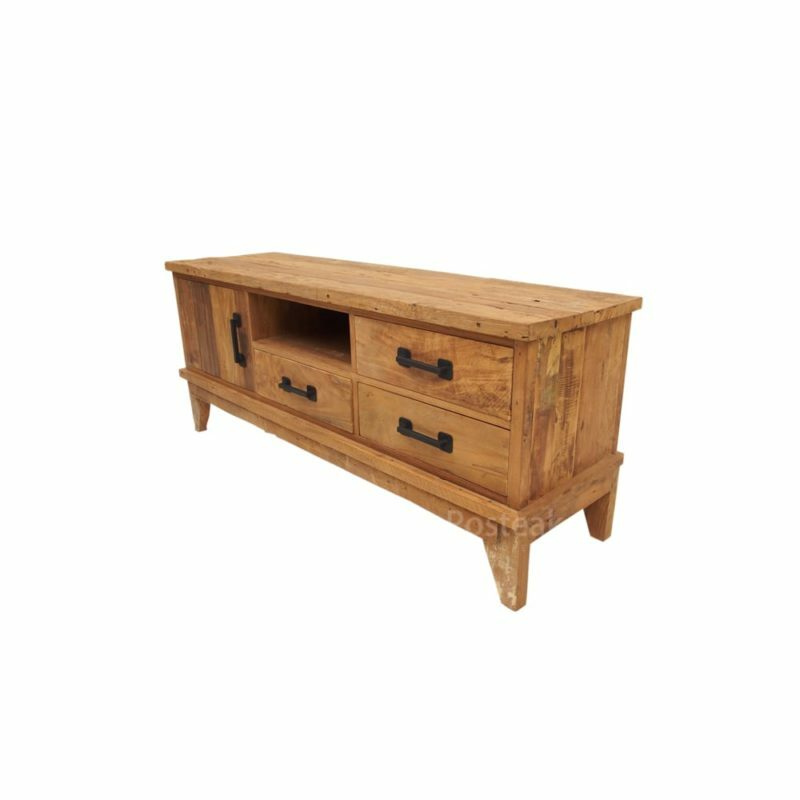 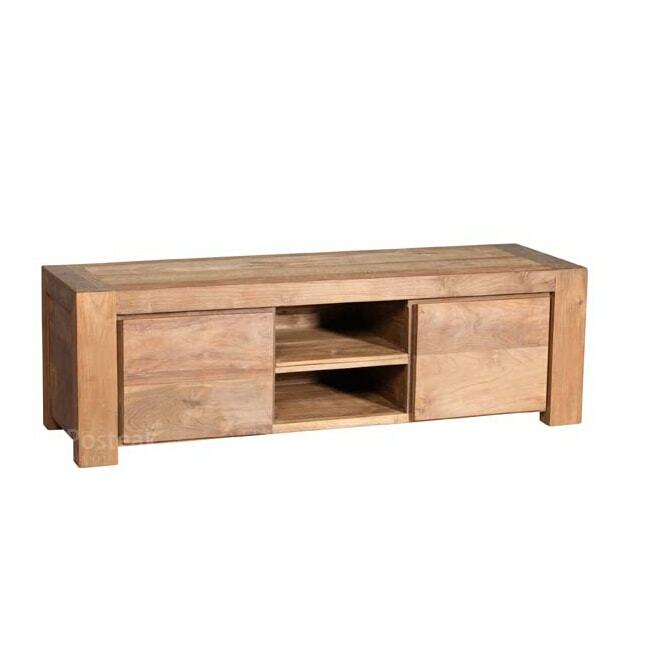 The products consist of Dresser, Cabinet, Tv Stand & Nightstand.